New Delhi, Jan 14: In order to resolve the long pending issue of mining, officials of Goa Mining People's Front (GMPF) on Sunday called on BJP National President Amit Shah and briefed him about the problem faced by the mining dependents. Senior BJP leader and Lok Sabha MP Narendra Sawaikar took to Twitter and informed about the development. 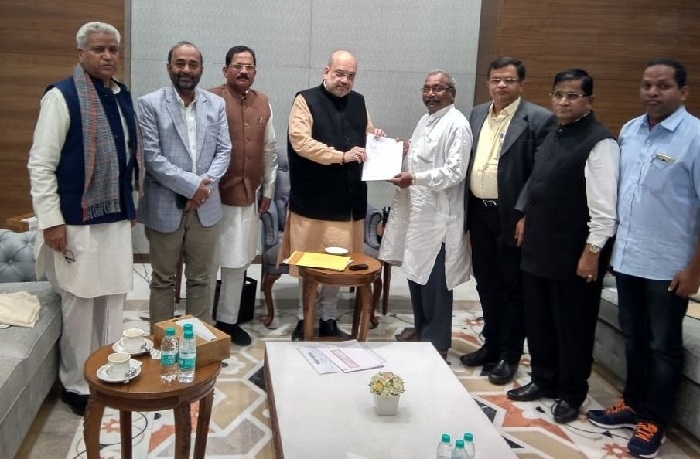 During this meeting, Shah assured that the central government will take all possible steps to address the problem faced by the mining dependents. As reported by ANI, the BJP National President also expressed concern over the loss of jobs, idle trucks, barges, and non-performing bank due to mining dead-lock. On March 15, 2018, the apex court had canceled the second renewal of 88 mining leases. According to media reports, the central government will take the call on Goa Mining in the budget session starting from on January 31. On this occasion, BJP National General Secretary Ram Lal, Union Minister Shripad Naik, South Goa MP Narendra Sawaikar, and BJP Goa head Vijay Tendulkar were present.